It’s been a season to forget for both Chelsea and Manchester United but when the Premier League giants go head to head in the FA Cup final this evening, there’s at least a chance to end the season on a high. 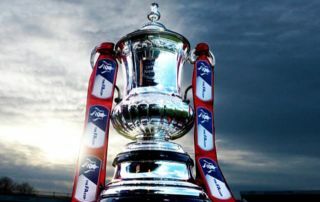 There’s good news for punters and fans though as the FA Cup Final is live streaming to UK visitors. Watch the FA Cup Final Live Streaming! Chelsea v Man Utd- Is this Conte’s Final Game? Chelsea’s league form has left Conte’s future hanging in the balance. If newspaper reports are to be believed the Italian manager, who this time last year looked untouchable, is almost certain to leave Stamford Bridge in the summer after what can only be described as an abysmal attempt at defending their title, which resulted in the Blues missing out on a top four finish. A draw at home to Huddersfield followed by an embarrassing 3-0 defeat at Newcastle sees Chelsea head into Saturday’s final as underdogs. The Blues are 2/1 to win in 90 minutes, and despite their woes of late, for me, seems excellent value. It’s an FA Cup final, Conte will want to leave on a high and let’s be honest Manchester United aren’t exactly in red hot form! The Red Devils ended the season with a typically dull performance against mid table Watford, but may have had one eye on Saturday’s final. After all it’s another trophy for Jose Mourinho to get his hands on and you can guarantee the Old Trafford gaffer will take great satisfaction in getting one over Antonio Conte following their feud earlier in the season. Boring, dull and lacklustre. Just a few words to describe the majority of United’s performances this season. But try telling Jose Mourinho that. He’s the king of game management and if there’s one man you want in charge going into a cup final it’s got to be him. His style of play might not be the most entertaining to watch, but he wins trophies and that’s all that count. United are clear favourites to get their hands on a record equalling 13th FA Cup title and are currently 9/5 to win in 90 minutes. In the two previous meetings between the sides this season they’ve each bagged narrow wins, so with that in mind I expect a close encounter at Wembley. Despite this being a cup final I just can’t bring myself to back the Blues considering their dismal run iof form in recent weeks, and Conte’s uncertain future. The Man United to win 1-0 is 7/1 and thats a prie which is big enough to take – or back the Man Utd win at 9/5 in 90 minutes.